Priestley Group is thrilled to announce our success at the UK Property Awards 2018, picking up three gongs for Best Apartment Development in West Yorkshire, Best Apartment Development in the overall Yorkshire region and Best Estate Agents in West Yorkshire. Hanover House, our £1million redevelopment of a grade-II listed building in the heart of Leeds city centre into 10 luxury apartments, was awarded Best Apartment Development in West Yorkshire. Conditioning House, our £8.5 million restoration of a grade-II listed Victorian mill in Bradford, which is being transformed into 133 new homes and commercial space, went one further to be named the Best Apartment Development in the overall Yorkshire region. Our estate agency arm, Priestley’s, was also voted the Best Estate Agents in West Yorkshire for its Elland Road site in Leeds. 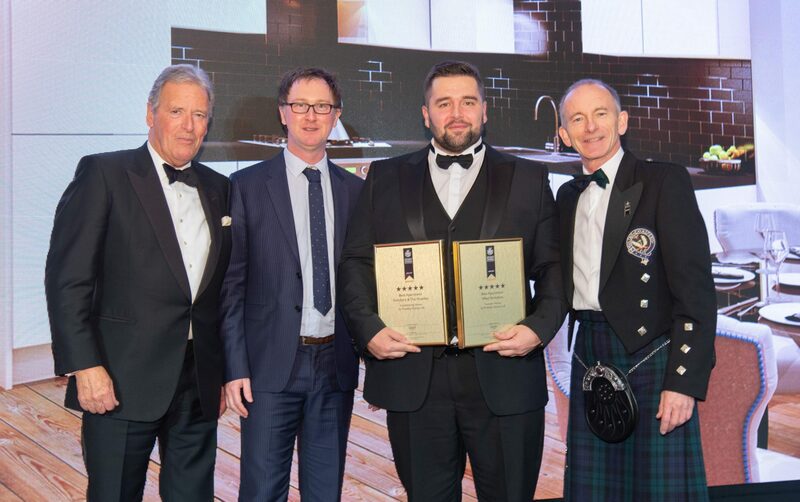 The three awards were presented during a ceremony at the Royal Lancaster hotel in London on 26th October, attended by our chief executive, Nathan Priestley, and several members of our talented team. Read the full story of our success via the Telegraph and Argus here. © 2019 Priestley Group. Made with Salt.